Earn up to 7,992 reward points. The quality and verstality of the Alpha with increased power output. 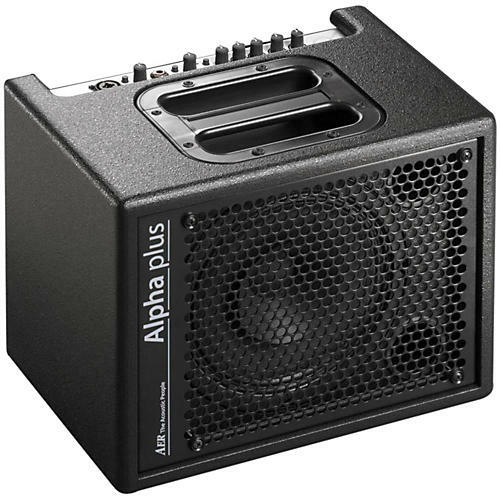 The Alpha Plus is inspired by the original Alpha amp. Matching the professional quality and versatility of the Alpha itself, the Alpha Plus takes it up a notch with increased power output. Featuring one channel with two independent input stages (line and microphone/line), a dynamically controlled 50W power amp, AER 8 in. twin-cone speaker system, 3-band equalization and reverb effect, the Alpha Plus is perfectly suited to handle a wide variety of instruments as well as vocals. Enjoy pure fidelity in a surprisingly compact package. Oder today.